Key Difference: The terms prepaid and postpaid are most commonly used to refer to mobile phone or cell phone connections. The term PRE – paid indicates that it must be paid before using, whereas POST – paid indicated something that must be paid after. 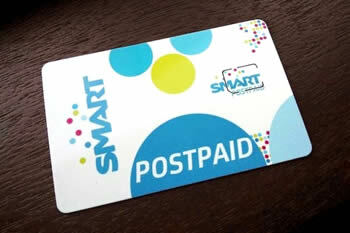 The terms prepaid and postpaid are primarily used in the context of billed services, such as mobile phone connections, internet connections, cable connections, etc. Most commonly the terms are used to refer to mobile phone or cell phone connections. They can also be used to refer to prepaid and postpaid credit cards. While the terms can be confusing, there is an easy way to understand and differentiate between the two. Pay attention to the prefix on both the terms. The term PRE – paid indicates that it must be paid pre, i.e. before using, whereas POST – paid indicated something that must be paid post or after using. While the terms may seem simple, there is a lot of context to them that can make it confusing to decide which type of connection you should get. After all each type has its own set of advantages and disadvantages. As previously mentioned, prepaid indicates a type of connection where the user need to pay before being able to use the connection. In the postpaid connection, the user can use as much as he want, and can pay for the service at the end, when the bill or invoice comes detailing how much of the service the user used, i.e. minuets, data, money, etc. and has to pay for accordingly. Now, each one has various other benefits and drawbacks. One drawback of prepaid is that the user needs to pay upfront even before using anything. But the benefit of that is that they get to use only the services of what they pay for, in contrast to postpaid where there are often hidden fees and benefits that may get applied to the invoice. Another benefit of prepaid is that you can change the plan at any time. Once the plan runs out, you can opt for a different plan, one with more value or less. For example, if you get a plan with 500 minutes, but realize that you don’t need that much; so once that plan ends, you can buy a plan will less minuets. This is usually not possible in postpaid as there are often annul contracts, where you can’t change plans; and even if you can, it is usually not that easy, as you have to go through customer support and explain your reasoning, etc. This also highlights another benefit of prepaid, which is you can use the service for only the duration you require it for, such as one month, a few months, etc. Whereas, postpaid does not have that liberty. It usually requires a commitment for a year or at times even longer; and getting out of the contract is no easy feat. 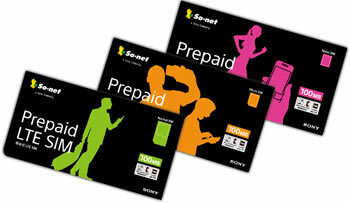 In comparison, a disadvantage of prepaid is that fact that you have to keep track of your minutes or data. As you can only use what you have already paid for, you don’t want to find yourself in a situation where you are stranded and turns out you’ve used up all your minutes and data, or the money of your prepaid credit card. In postpaid, you’ll rarely find yourself in that situation, as you can continue to use minutes and data even after you’ve used up your allotted minutes and data. However, these will be charged at a premium cost, and is not applicable to a postpaid credit card, which will decline it charged over the limit; though some cards do have the option of an overdraft, again at a premium. It should be noted here that it is quite easy to go overboard on your voice and data limits, which means that you just might be in for a shock at the end of the month, when the bill arrives. In prepaid, once you run out of your usable limits, you’ll have to recharge again. Also, in prepaid, you often have to get different packs for each service, for example in mobile connections, you may have to get one service pack for calling minuets, and another for data, sms, etc. Though, more and more services do offer combo packs, but the choices are limited and not customizable. While you may still have to select which pack you want, i.e. how many voice calling minutes, data, text messages, etc. ; the benefit here is that all of them come combined in the same invoice at the end of the month, you don’t have to recharge them individually every month. In some regions, postpaid contract come with either a free phone for the duration of the contract, or you may have the option of getting a phone at a discounted rate, the cost of which will be combined within the contract cost. In prepaid, this offer is quite rare, and you will mostly have to purchase your own phone to use. Depends on the plan. Can be a day, a week, a month, or until the recharge lasts. Usually monthly, but can be longer. Receive an invoice at the end of the month for the services used. Fixed as you can only use the plan you have purchased. Once you run out you have to recharge. Variable, as you can use as much as you can. However, you’ll be charged a premium when you go over your monthly limit. Depending on the region and company, you may or may not be able to use an outright purchased phone. You may also have the option of using a phone provided by the company for the duration of the contract, or using a phone that you get in combination with the plan that you have to pay off during the course of the plan.